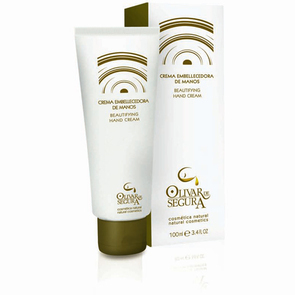 Hydrates and reduces roughness, improving the firmness and softness of the skin. Elaborated with Organic Extra Virgin Olive Oil, a natural antioxidant which hydrates and smoothes, Raspberry seed oil, that protects and moisturises the skin, and Aloe Vera, that regenerates the skin. A combination of powerful hydrating ingredients that are 100% natural avoids progressive loss of hydration and favour the regeneration and protection of skin on the hands from external attacks.